Moisture problems in your home can lead to mold, mildew, or other biological growth. These growths can potentially cause a variety of health problems for susceptible individuals. Moisture issues can also lead to rot and structural damage. When addressing any interior mold issue, the moisture source must be addressed to provide a long term solution. Poor ventilation allows moisture to become trapped in the attic, potentially causing attic mold growth. As with any interior mold issue, addressing the moisture source is key. AdvantaClean experts will diagnose your attic moisture and mold issues. They'll recommend and implement corrective measures and make sure ventilation is no longer inadequate. 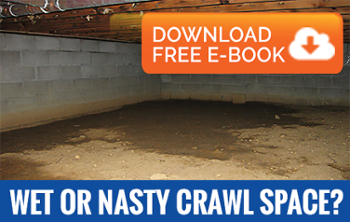 Many crawl spaces have an exposed earthen floor. This dirt floor allows ground moisture to evaporate into the space under your home, increasing the crawl space moisture levels and creating the perfect environment for mold to settle and thrive. Our crawl space moisture specialists can address the moisture source from simple repairs to comprehensive vapor barriers, crawl space ventilation systems and crawl space dehumidifier installations. The lack of a basement ventilation system and/or basement dehumidifier can contribute to basement humidity control issues. Improper construction or maintenance, lack of landscaping or improper grading, and the lack of rain gutters can also contribute to basement moisture control issues. AdvantaClean can diagnose your basement moisture control and basement mold issues by properly identifying, recommending and implementing corrective actions.